Share the post "FTC Instramental in Growth of Embolization Success"
American Dental Hygienist magazine gives a synopsis of UAE, tracks its success, and talks about how our very own FTC has been instrumental in bringing the procedure forward. A recent article that appeared in the April issue of American Dental Hygienist (ADH) Magazine describes the details of Uterine Artery Embolization and highlights Dr. Bruce McLucas’ research regarding the success of the procedure. The article tracks the origin of embolization and how its discovery led to the eventual research and acceptance of the procedure. The Fibroid Treatment Collective (FTC) is highlighted in the article, touting the treatment success of this group and the 94% of patients that have experienced fibroid shrinkage and symptom relief due to the procedure. 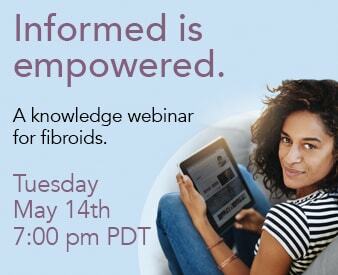 The Fibroid Treatment Collective is unique in that it is a medical group solely devoted to fibroids with a special emphasis on embolization. FTC introduced embolization to America over a decade ago and is responsible for thousands of successful treatments. Furthermore, the group actively trains other physicians to perform this safe, non-surgical procedure. The article goes on to discuss the research, led by Dr. McLucas, and noted how a retrospective chart review was conducted to evaluate the success of UAE following the technical failure of an alternative original treatment. The research found that UAE is an effective management option.